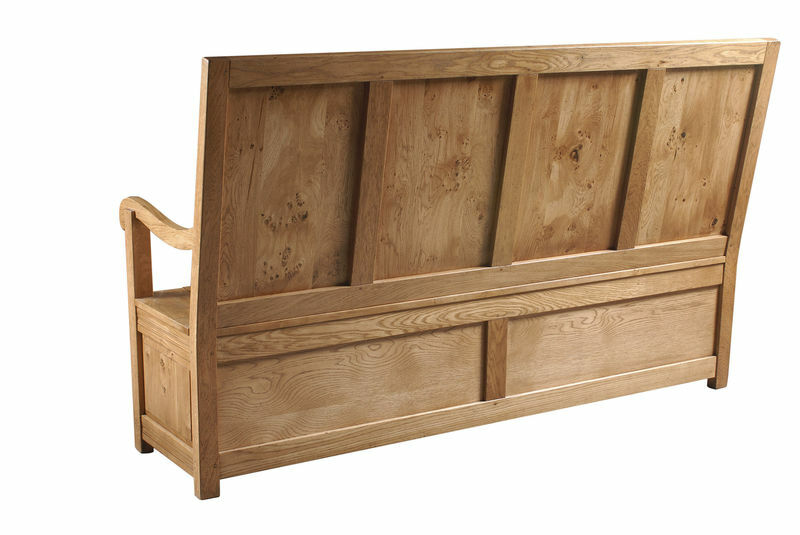 A bespoke 4 panel box settle designed especially to go into a farmhouse kitchen together with a Pippy oak dining table. 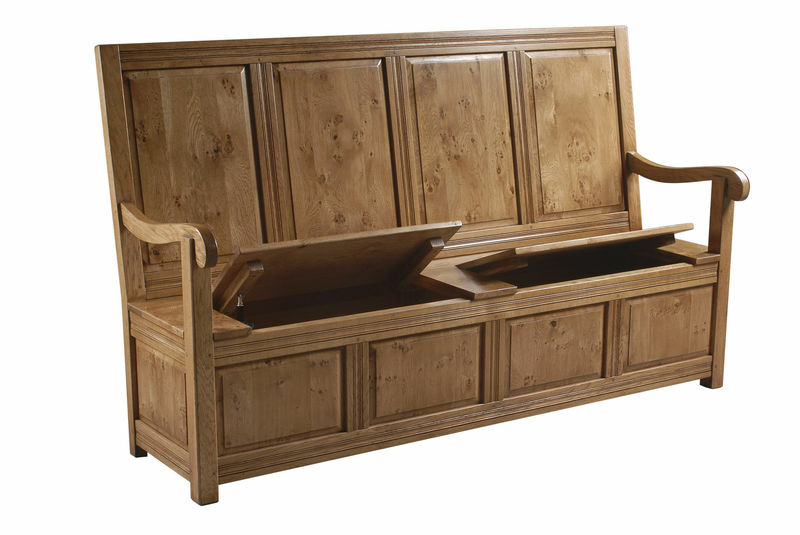 The settle was designed and sized to complement the table with particular selection of the pippy oak panels. 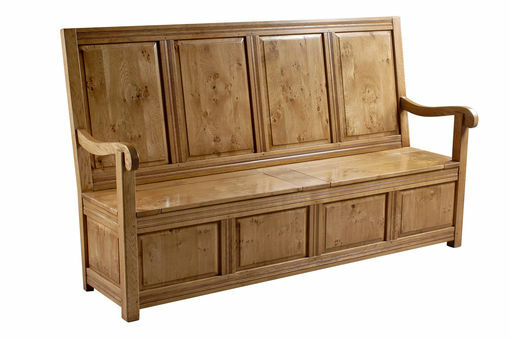 The settle also has the addition of the seat storage as a practical element.